The Best Holiday Dinner Hosting Tips to Have Fun and Stay Sane! 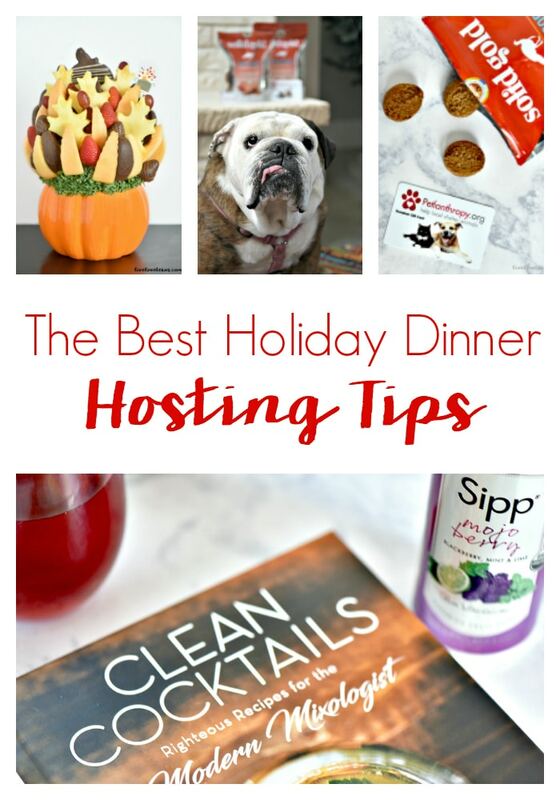 This post with the Best Holiday Dinner Hosting Tips has been sponsored by BabbleBoxx.com. Are you hosting a holiday dinner this year? Whether you have a sit-down dinner or a cocktail inspired party, you don’t have to break a sweat. Just follow these essential holiday dinner hosting tips, to create a wonderful atmosphere, that your guests will love. Depending on the style of party you are going for, will depend on what works for you. These tips will help make your holiday dinner planning and prep so much easier. Holidays are about enjoying time with family, so don’t stress and just relax with these hosting tips. Whether you decide to do a more potluck style dinner, where you delegate dishes to family and friends or let some people come help prep, don’t be afraid to accept help. It is a lot to host a whole dinner with lots of guests. It won’t make the party less fun if you have some help along the way. Don’t stress over not having time to bake a dish. Create a timeline with all the dishes you are cooking. Schedule in the prep time and oven time. This is a great way to make sure you have time to get all the dishes cooked and not forget to put turkey or ham in to bake. Also, pull out your slow cookers and use them for dishes like mashed potatoes, casseroles, even macaroni and cheese. The biggest struggle is having time to make everything. Work at prepping all you can ahead of time, so there is less stress right before your guests arrive. Make desserts, rolls, and some side dishes ahead of time. Then reheat as needed or pull them out of the fridge and place directly on the dinner table. This will help tremendously. Also if you are needing veggies prepped, cut everything you can up ahead of time, and store in plastic bags. Then you can grab all the ingredients you need to toss together to make the dish. Just work hard on prepping any and everything you can. Don’t wait until the last second to decorate or set the table. Do all this ahead of time so there is no need to stop cooking to get any of this done. I recommend setting the table and decorating the night before, that way you wake up and it is ready to go. I’m all about minimizing clutter or making items pull double duty. Using an Edible Arrangement as a centerpiece, will help take some of the dessert recipe prep off your plate in a beautiful presentation. 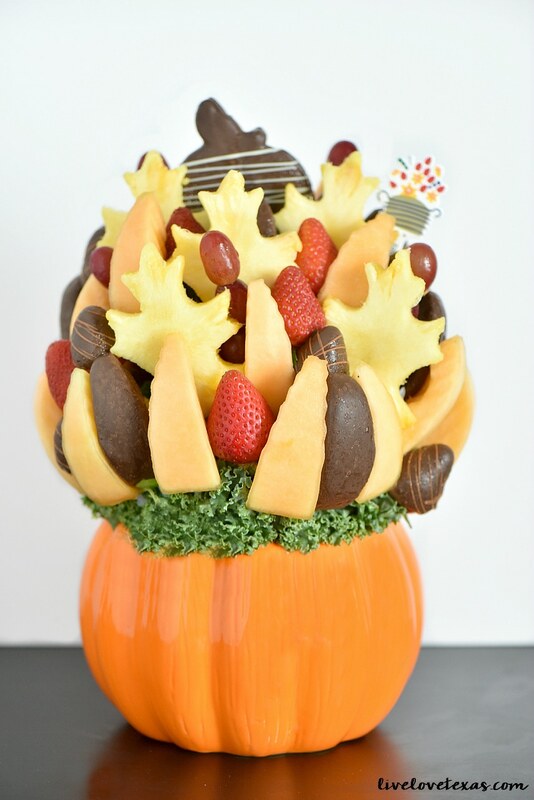 I received the Salted Caramel Harvest Bouquet with Orange Swizzle Berries which included an assortment of plain, as well as chocolate and salted caramel covered fruit, all in a ceramic pumpkin that can be reused again next fall. It looks very festive and is a delicious addition to any holiday dinner. There’s still time to order from Edible Arrangements for your Thanksgiving desserts, use code THANK17 to save $10 off $39+ ($49 for CA) or FEAST to save $20 off $99+ thru 11/22/17. Now is not the time to experiment with dishes you haven’t tried. I have found so many recipes I thought I would love only to find out they fail or taste terrible. Stick to what you know when it comes to the dishes you prepare. If you want to try something new, make it ahead of time to see if it tastes good, and then add to the menu. Don’t be afraid on some dishes to take shortcuts and buy pre-made. That can go for pie crust, dinner rolls, sides, or even your turkey. Just know what dishes have to be homemade to taste good and which others could easily be ordered or made from a box with some added ingredients to make it taste more homemade. You just have to get creative! Don’t forget to have drinks chilled and ready to grab. Whether you are serving wine and cocktails or tea and water. Have drinks out and ready for guest to grab, and ice available if they need it. 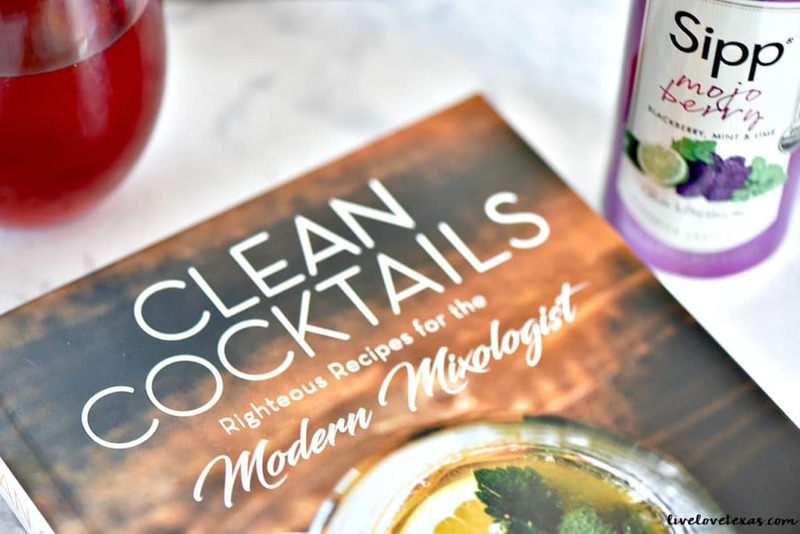 One way to ensure you have a varied selection of drinks for all of your guests are to choose ones that do double duty like Sipp Sparkling Organic Drink in Mojo Berry which has a mix of blackberry, mint, and lime. The flavor of these organic drinks taste great on their own for those not drinking, or as a flavorful and sparkling mixer in cocktails. If you’re looking for some clean cocktail inspiration, check out Clean Cocktails for the Modern Mixologist. 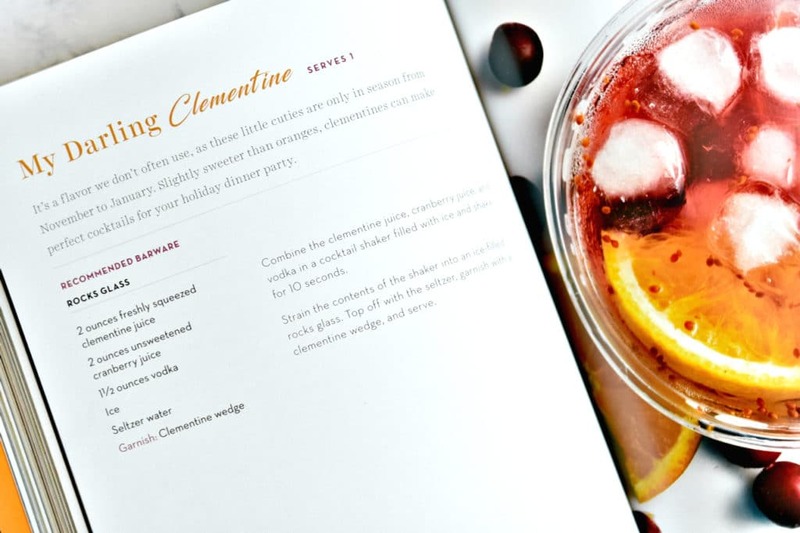 The My Darling Clementine Cocktail would pair perfectly with your Thanksgiving feast. Since animals have varying temperaments, some guests are afraid of them and others could have allergies, they might have to be put away while you’re hosting your holiday dinner. But it’s still the holidays for pets too. Once the guests are gone or you’re able to break away, treat your dog with leftovers or some special grain free dog treats. Our rescue dog, Bunny (Lebowski), loves the Solid Gold Superfoods Chewy Dog Treats with Turkey, Sweet Potato and Cinnamon. 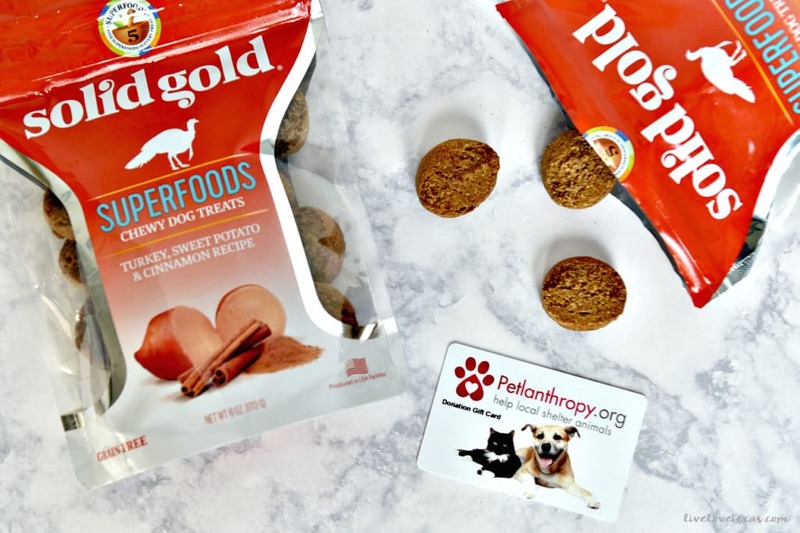 I love that these treats are designed to lengthen the life of your pet with high quality ingredients. 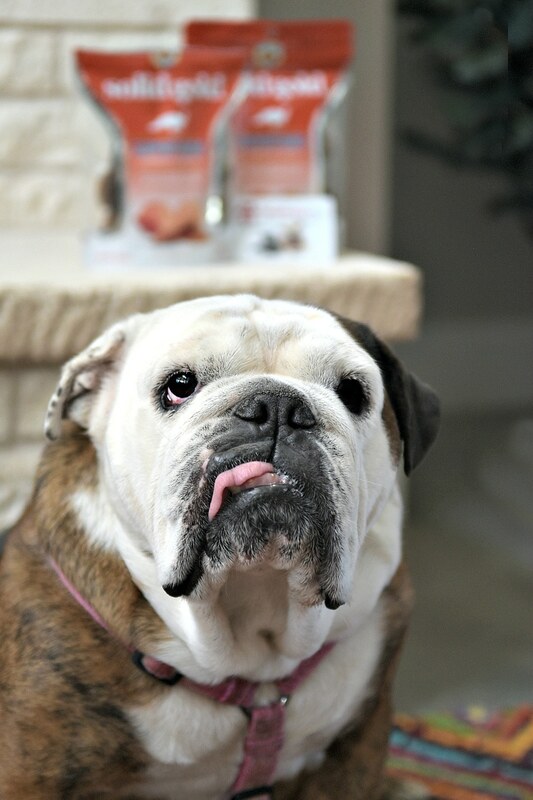 Since we adopted Bunny during the holidays last year, we want to remember the rescue we used as we’re doing our holiday gifting this year so we’ll be sending some of these festively flavored dog treats along with a $25 Petlanthropy gift card to help other fosters at the Lone Star English Bulldog Rescue to bring needed care and lifesaving treatments to dogs in need. Your friends and family will understand and be grateful to you for hosting and still have a great time, no matter what happens. Accept that nothing in life ever goes as planned and things can and will happen. With these holiday dinner hosting tips in mind, you should be able to relax and enjoy this time, and not spend it cooped up in the kitchen all day. Do you have any other holiday dinner hosting tips? I’d love to have you share them with me and continue this conversation on Facebook!